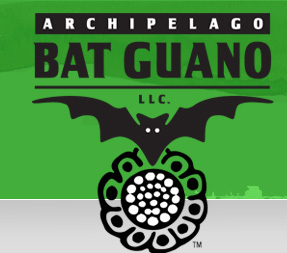 Archipelago Bat Guano is a socially and environmentally responsible company that provides home gardeners with what we believe is the best phosphate, calcium, and micronutrient fertilizer available. 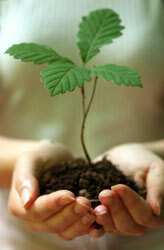 ABG's Natural Organic Phosphate Fertilizer is very effective in promoting exceptional fruit and flower development. And because the guano is fossilized, it has no foul odor. Independent laboratory tests also show that it does not contain potentially harmful bacteria that are commonly associated with raw manures. Finally, ABG's Natural Organic Phosphate Fertilizer is 100% natural and organic, and it is OMRI® listed for use in the production of organic food and fiber. Having said that, we hope that you are skeptical of the phrase “best phosphate, calcium and micronutrient fertilizer available.” In this case, please go to the 10 Reasons section of this page and click on each one. You will then be introduced to what we think are some of the most relevant issues to address in choosing a phosphate fertilizer. At the end of most sections, there are links to numerous books, news articles, professional papers, abstracts, government publications, and assorted other sources so that you can read the whole story if you like. When you are done, we think that you will agree with us that ABG's Natural Organic Phosphate Fertilizer really is the best phosphate and micronutrient fertilizer available, and it is the one that you want to use.